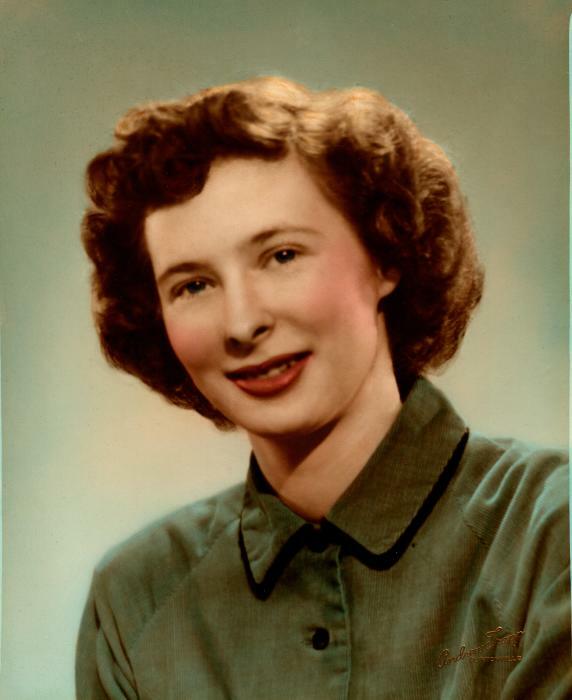 Ramona R. Splitt, age 89 of the Town of Bear Creek, Waupaca County passed away Monday morning April 15, 2019 at the ThedaCare Medical Center in New London. Ramona was born on March 27, 1930 in Bear Creek as the daughter of the late Harry and Meta (Lichtenberg) Peterson. She graduated from Clintonville High School in 1947 and was united in marriage to Orville Splitt on October 17, 1953. The couple moved to the Splitt family farm in Bear Creek where they raised their five children. Ramona was a lifelong and faithful member of Trinity Lutheran Church in Bear Creek. She was an excellent cook and baked some of the best pies and chocolate chip cookies. Ramona was also an avid gardener and enjoyed growing her Gladiolas and Double Impatiens. Her Children: Sandy, Kevin, Cheryl, & Peggy Splitt and Connie (Dave) Rohan. Grandchildren: Adam (Samantha) Rohan, Austin & Alex Rohan (special friend Ashley). Siblings: Marvin Peterson, Janice (Jerry) Schroeder, & Gary (Kathy) Peterson. Numerous nieces, nephews, and cousins. Ramona was preceded in death by her parents, her husband Orville on October 12, 1981; siblings: Virginia (Ed) Splitt, Elaine (Toivo) Lahti, Leon Peterson, & Reuben Peterson; sister-in-law Joyce Peterson; 2 nephews: Jack Lahti & Brian Schroeder. Funeral services will be held Monday April 22, 2019 at 11 AM at the Trinity Lutheran Church, E8010 Hwy 22, Bear Creek with Rev. Aric Fenske officiating. Interment will follow at the church cemetery. Friends may call at the church on Monday from 9 AM until the time of the service. In lieu of flowers a memorial fund will be established by her family. The Eberhardt-Stevenson Funeral Home & Crematory of Clintonville is assisting her family.